I’m home now. I’m so happy to be home. I couldn’t find my sunglasses when I was leaving work and I nearly cried. It’s a beautiful bright sunny day and it’s too much. Last night I increased my CMD to 200 mg. I’m really hoping this thing starts helping. I’m keeping a headache/vert diary for now. I figure I want a record so I can see if this thing is making a difference…yes the scientist in me is saying “but you didn’t keep a record before so how will you know?” So my method is flawed. But I know that July was horrible. I know that it was as bad as this. And now I have a record of how bad this is. So if this improves, then it’s making a difference. If this doesn’t, it’s not and I’m sure not gonna stay on a CMD that doesn’t help. But all that said, as bad as today is, it’s better than yesterday and Wednesday night. So that’s good. Something is stuck in my eye! and something quite gritty flew off it. So I’ll be talking to that new primary care a bit before I anticipated. Because I have awesomely ambiguous insurance: I am covered for an ER visit in the case of an emergency but “crap stuck in eye despite flushing with half a bottle of natural tears and prodding with wet q-tip is (oddly) not listed under the “e.g.” for emergency conditions. I get it. It’s not like a heart attack. And I feel dumb for having done it and for need to go to urgent care, and for calling this guy (on call no less) to say “hi, you haven’t met me yet but you’ll be getting to know me SOoooooo well…” I get it. But it is my eye. Last time I flicked some mystery bit into an eye (nearly 20 years ago), I ignored it even after the oozing started – ended up in the ER anyhow. So now that I’m older and wiser, apparently I can’t be trusted to do normal routine tasks without hurting myself but I am responsible enough to not wait for the ooze. Oh yes, and also I get two new categories on my blog. “Eye” and “doing something stupid”. Update 6/2/10: Ok I decided not to go to the ER. For three reasons. (1) I couldn’t get a call back from the primary to be (not super happy about that – he could have at least called, no?) (2) I really didn’t want to go and found all kinds of reasons like “my local ED probably doesn’t have the equipment to even look at my eye let alone get this thing out of it”. 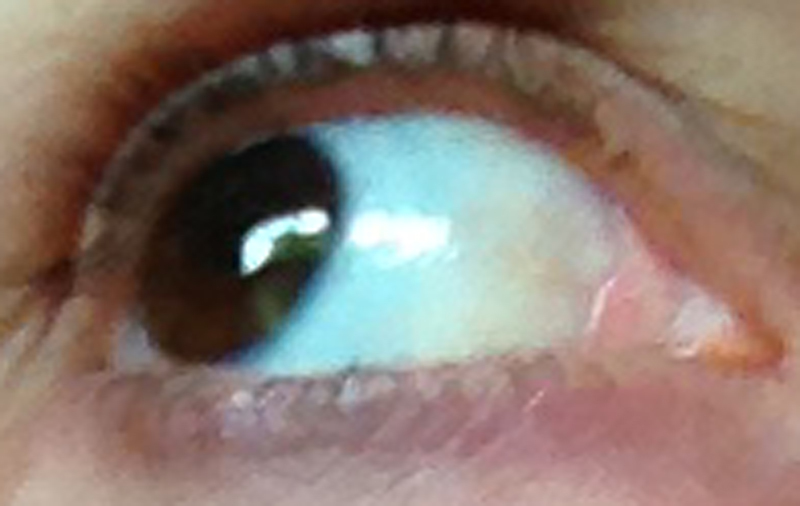 (3) After rinsing my eye about 2 dozen times, I finally moved the bit away from my iris. My eye still stings and I woke up to cloudy vision but it passed (cloudiness, not stinging) so the hell with it.